Number four embodies the qualities of building something tangible through a logical structured system and submitting to earthly manifestations in order to construct an orderly and stable foundation. 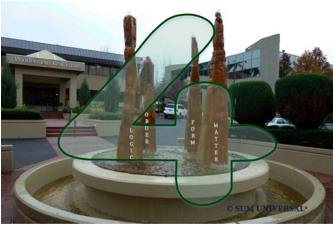 Four is the symbol for continuity and transformation, order and system, form and substance, formation and material manifestation. Four types of chemical elements exist: metals, nonmetals, semi-metals, and the noble gases. Though these four types of elements are a part of the Earth and the universe, they do not create, but its property is potentiality and to bring to life what is within it. The chemical element that correlates to number four is the beryllium metal, which occurs naturally only in combination with other elements in minerals. The element itself is silver-gray and a strong, lightweight metal, which resists at ordinary temperatures oxidation in air. Beryllium does not play any role in the functions of plant or animal life. It is a relatively rare element in both the Earth and the universe.